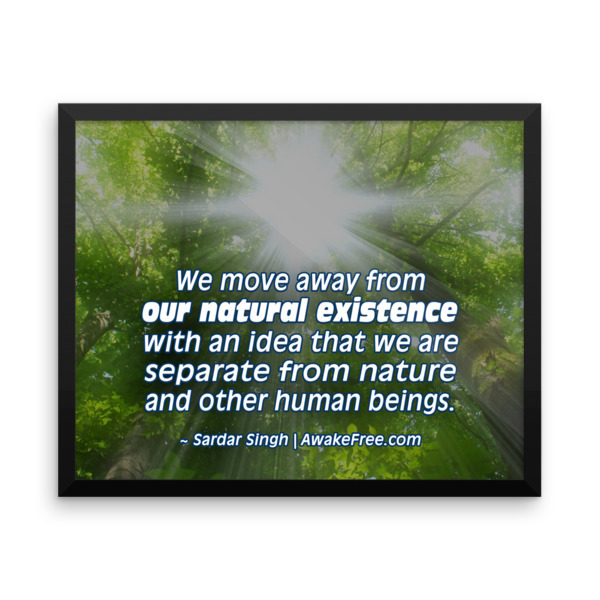 Our Natural Existence - An Inspiring Framed Poster - Ready to Hang » Awake Free! 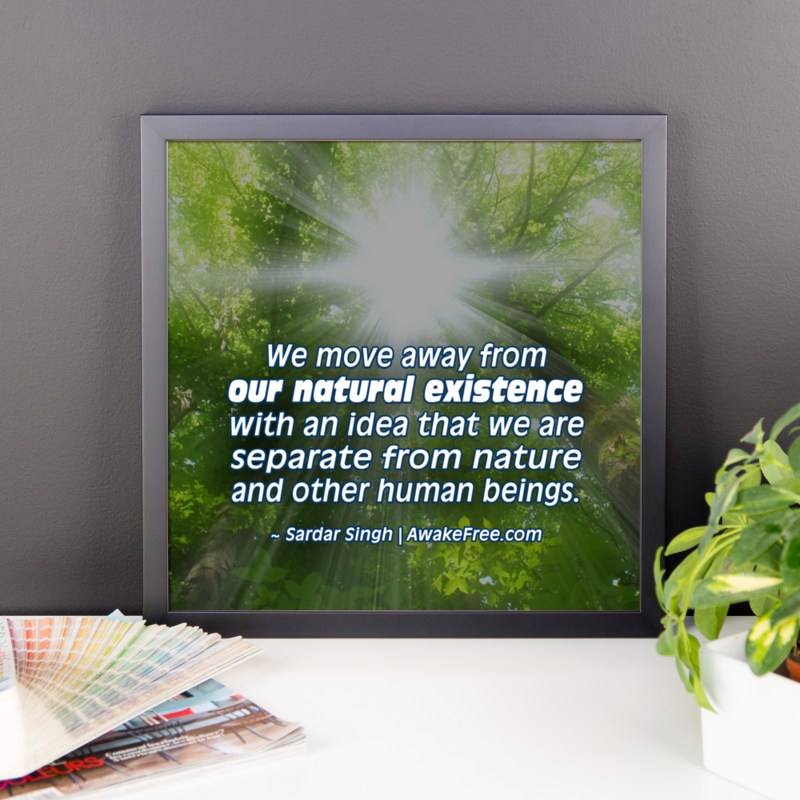 Select your perfect framed poster size for a $50 – $135 sponsorship of the work we’re up to here. Or find more ways to become a sponsor. 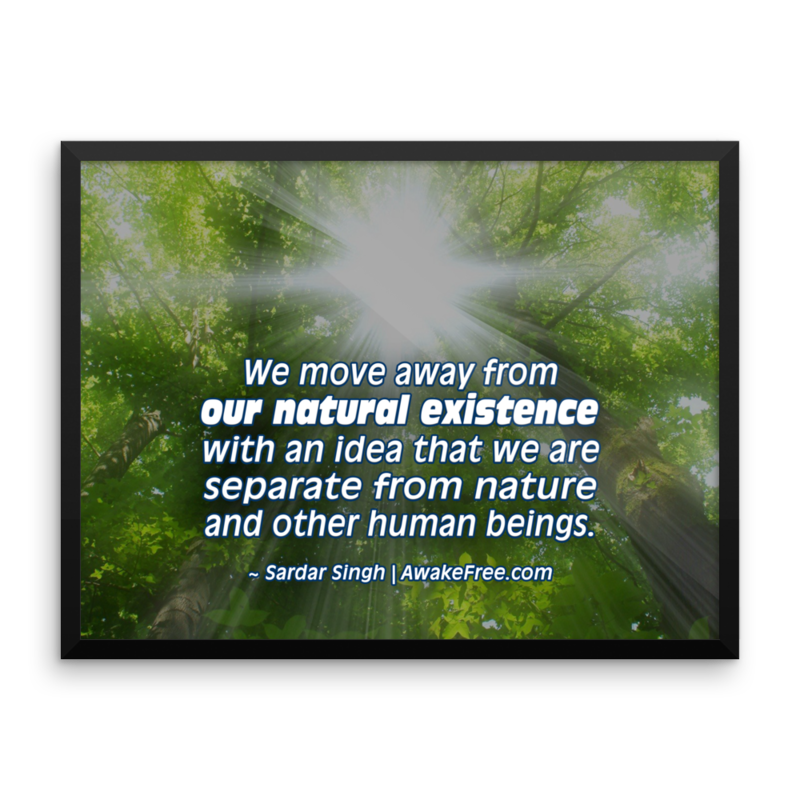 An inspiring quote left for us by Sardar Singh to remind us we are part of a natural order at work. 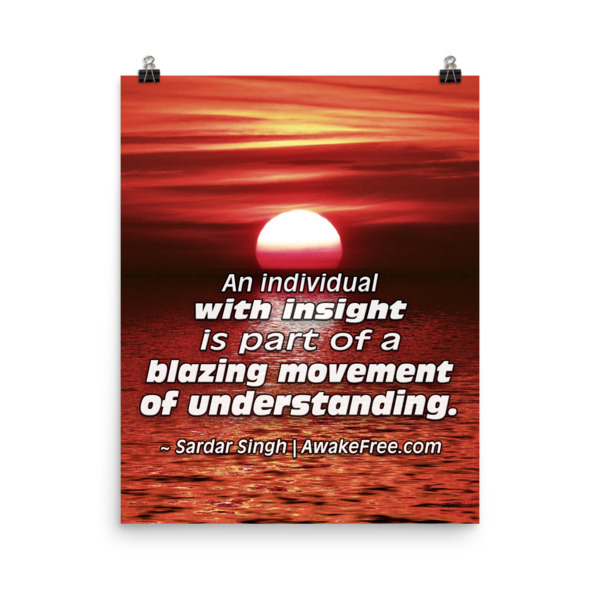 A great reminder to connect with our own insight. 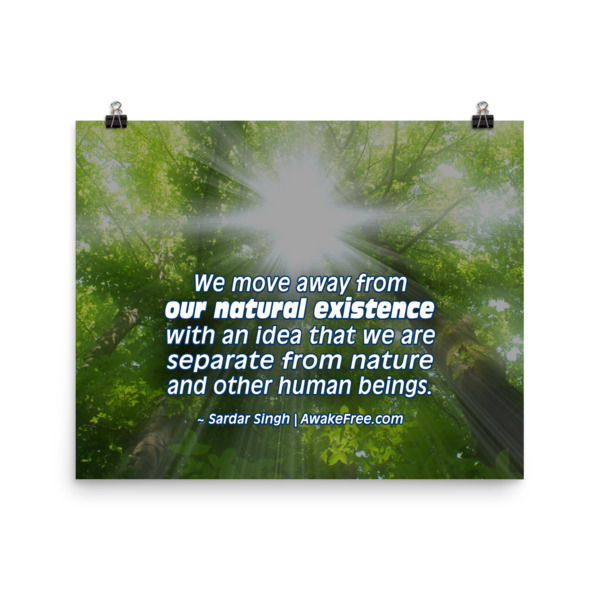 It’s printed on thick, museum-quality, matte paper with simple elegant frames, ready for hanging. 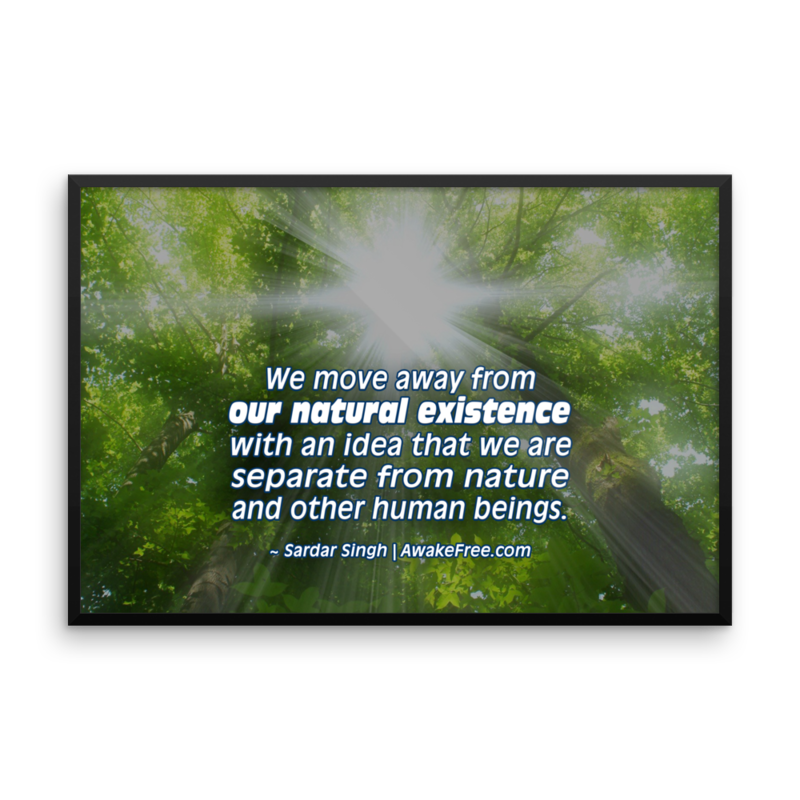 This quote is also available as a printed canvas or unframed poster. 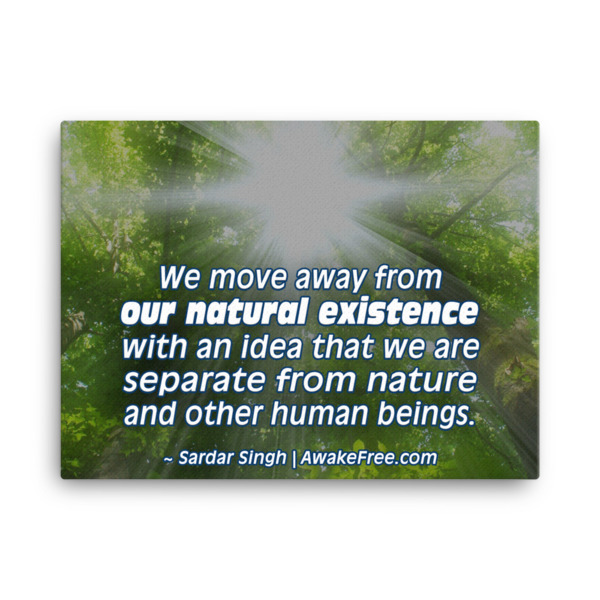 Purchase of any of these exclusive prints supports the work here to inspire awakened living.